Hall effect AC current sensor adopts linear photoelectric isolation or modulation and demodulation principle, best cost performance, fast response, high accuracy, good stability, small size, light weight, input current terminal connection, DIN rail installation, widely used for AC current measurement of various occasions. 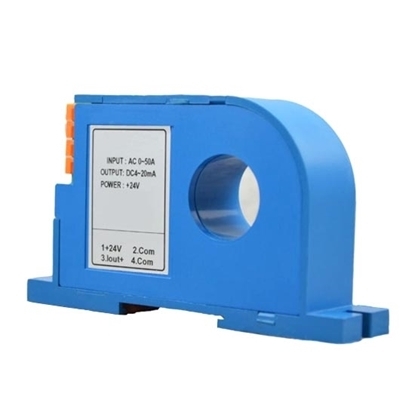 AC current sensor adopts electromagnetic isolation principle, best cost performance, fast response, high accuracy, good stability, small size, light weight, 4mm/8mm/12mm/15mm hole diameter, and DIN rail installation. AC current sensor is widely used for AC current measurement of various occasions, especially for sine-wave ac current with power frequency 50Hz. 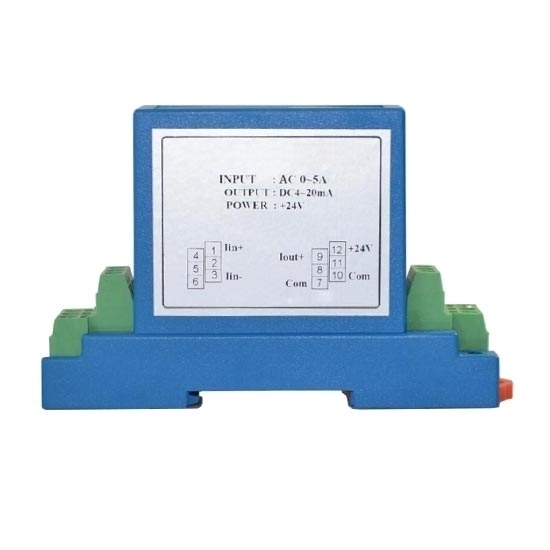 AC current sensor adopts electromagnetic isolation principle, small size, light weight, low price, fast response, high accuracy, good stability, and DIN rail installation. AC current sensor is widely used for AC current measurement of various occasions, especially for sine-wave ac current with power frequency 50Hz. Hall effect current sensor adopts electromagnetic isolation principle, small size, light weight, low price, fast response, high accuracy, good stability, 35mm/45mm/55mm hole diameter, and DIN rail installation. Hall effect AC current sensor is widely used for AC current measurement of various occasions, especially for sine-wave ac current with power frequency 50Hz. 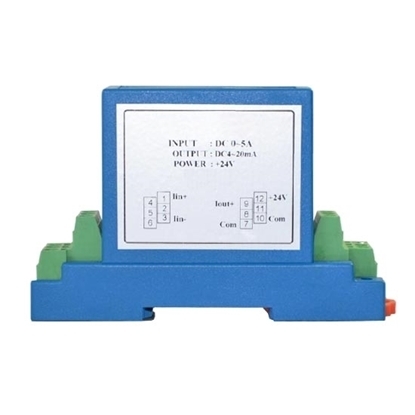 Hall effect DC current sensor has best cost performance, fast response, high accuracy, good stability, small size, light weight, DIN rail installation, widely used for DC current measurement of various occasions. Promotion: If you buy ≥5pcs current sensors (with same parameters) at one time, you will get 5% discount (It's apply to basic parameters. Other parameters with price adjustment may approach 5% discount.). AC current sensor has measuring range of 5mA/100mA/1A/2A/5A to 10A. Application in DC automation speed control system: In this system, the Hall effect current and voltage sensor can directly replace the current transformer. It not only has a better dynamic response, but also realizes the optimal control of rotor current and overload protection for thyristor. Application in Uninterruptible Power Supply (UPS): Controlling with a Hall effect AC current sensor can ensure the normal operation of the inverter. Send out signals with Hall effect current sensor 1 and feedback to control the trigger angle of the thyristor. Control the inverter with the signal sent out by Hall effect current sensor 2. And control the float charging power supply with Hall effect current sensor 3. Due to the quick response, Hall effect current sensor is especially suitable for uninterruptible power supply in reduction gears. Application in electronic spot welder: Hall effect AC current sensor plays the role of measurement and control in power supply of the electronic spot welder. Its quick response can reproduce the current and voltage waveforms and feedback them to the controllable rectifier A and B, thus controlling its output. If an AC is added to the DC with a chopper, the current can be controlled more accurately. When detecting the current with Hall effect current sensor, real instantaneous value of the current can be measured while no additional loss would be introduced. Application in power management: Hall effect AC current sensor can be installed on the distribution line for load management. Output of the Hall effect current sensor is connected with the reduction gear to monitor the electricity consumption. In case of overload, it disconnects the controlled line in time to guarantee the safety of electric equipment. Such a device can also be used for load distribution and remote control, telemetry and patrol of power network. Download ATO current sensor cataloge (pdf). The accuracy of 5A AC current sensor is high, and it is slightly higher than the calibration parameter. The measured data error is very small. This shipment is faster than the last time.